I haven’t done a “Top 10” list of embroidery books in ages upon ages. One reason is that it takes ten forevers just to collect the stats and figure them out. But since I was updating my Embroidery Book List the other day, I took the plunge and did some real work… for a change! So here’s my list of Most Popular Embroidery Books on Needle ‘n Thread for 2012 so far. I’ve included 15, because numbers 15 through about 9 all rank very close in popularity. They’re all excellent books in their own way, and worth having for reference or instruction. I’m eager to know if you agree with the popular consensus! What books are you surprised to see on the list, or not on the list? Maybe you’ll find something here to add to your own library (or at least to your Christmas Wish List). Each entry on the list is linked to my book review for that entry, so feel free to browse! #15: The Embroidery Stitch Bible is an excellent stitch dictionary to have on hand for reference. It’s been popular on Needle ‘n Thread since I reviewed it in 2007, and even when it was unavailable for a little while, people kept asking about it. Handy little book! #14: English Crewel Designs was surprising to see in the stats! For some reason, in the last 6 months, this little book has gotten a lot of attention! 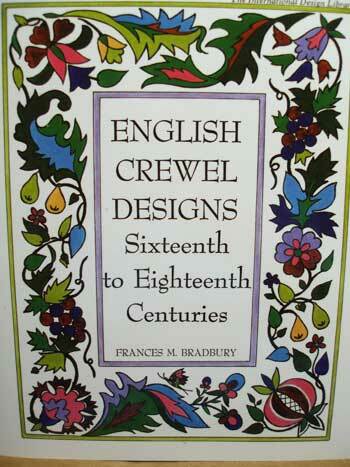 For the low price tag, it’s a nice source book for crewel designs. I reviewed the book originally in 2010. 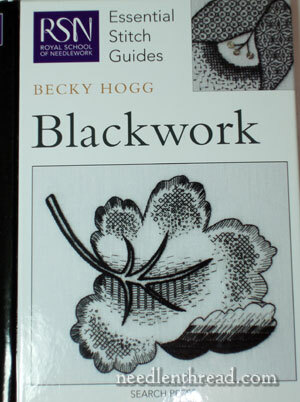 #13: The RSN Essential Stitch Guide for Blackwork. A most excellent instructional book for blackwork embroidery, this is the most popular RSN Essential Stitch Guide on my website, from what I can tell. Anyway, it clocked in at #13 overall, since January! #12: Beginner’s Guide to Goldwork by Ruth Chamberline. I reviewed this book in 2007, and it’s still proving to be quite popular! The instructions in goldwork (mostly couched techniques, not chip work) and silk embroidery are given by way of working an absolutely gorgeous sampler. Great for beginners, if you’re toying with the idea of taking up goldwork! 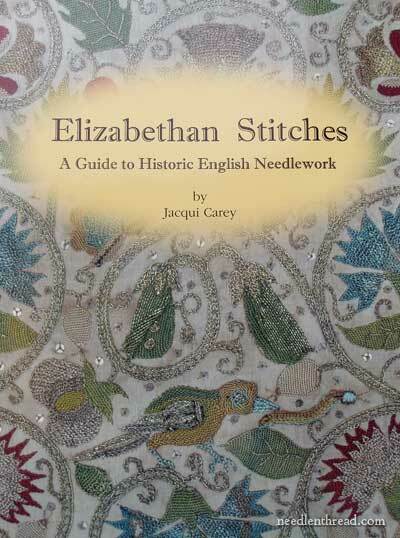 #11: Elizabethan Stitches by Jacqui Carey – this is a new book, reviewed earlier this year. If you like 16th & 17th century embroidery, this should be on your Christmas Wish List. 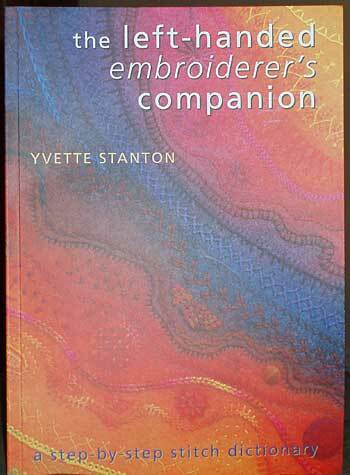 #10: Left-Handed Embroiderer’s Companion by Yvette Stanton. If you’re a left-handed stitcher pining for embroidery instructions written just for you, you’ll definitely want this stitch dictionary on your bookshelf! 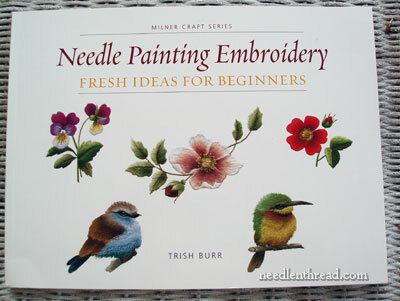 #9: Needlepainting Embroidery: Fresh Ideas for Beginners by Trish Burr. This is one of Trish’s more recent books. If you’re just venturing into needlepainting, or you’ve been dabbling with needlepainting at the beginner or intermediate level, you can kick things up a notch with Trish’s book – it’s positively lovely! #8: Beginner’s Guide to Crewel Embroidery by Jane Rainbow – an excellent guidebook to crewel work, for beginners and beyond. And extremely reasonably priced! 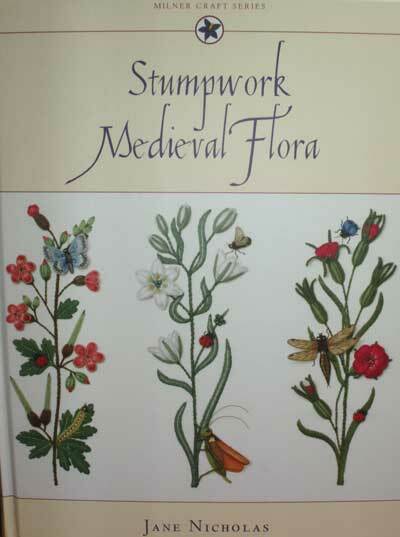 #7: Stumpwork Medieval Flora by Jane Nicholas. This is a gorgeous, gorgeous, and did-I-say gorgeous stumpwork book by Jane Nicholas – like all her books, really. I reviewed this one in 2009, and it’s still consistently popular. 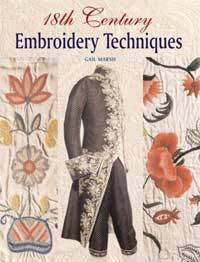 #6: 18th Century Embroidery Techniques by Gail Marsh. I love Gail Marsh’s book, which take us through specific centuries in embroidery techniques. 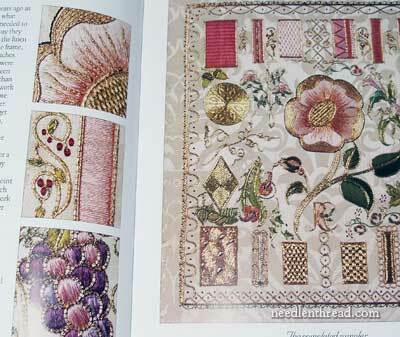 First reviewed in 2007, the book is a favorite among costuming aficionados and embroiderers alike. It’s an instructive and fun stroll through history. 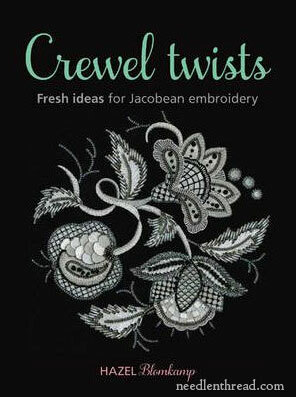 #5: Crewel Twists by Hazel Blomkamp. Hazel’s approach to surface embroidery is beautiful and diverse. She uses designs that are typical crewel embroidery designs, and embroiderers them with floss, beads, sequins, goldwork, whitework, and so forth (as well as wool!). 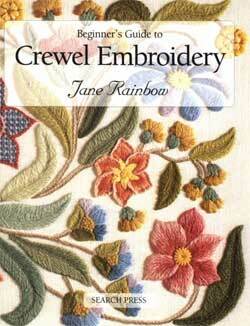 If you want some fun, colorful embroidery, take a look at this book! 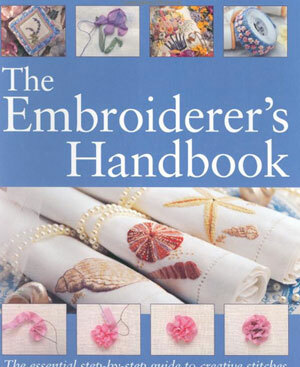 #4: The Embroiderer’s Handbook by Margie Bauer. This classic has been around for a while! It’s the first book I reviewed on Needle ‘n Thread – not too many weeks after I started blogging. It’s still selling strong, and for good reason. Not only is a good stitch dictionary (with all kinds of other useful information in it), but it’s a downright gorgeous book! 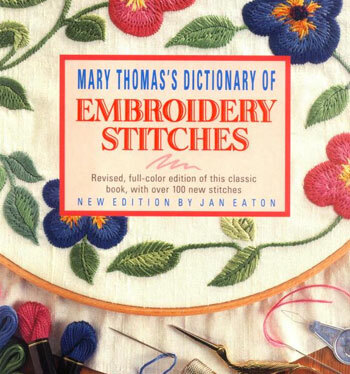 #3: Mary Thomas’s Dictionary of Embroidery Stitches, edited by Jan Eaton. This is another stitch dictionary, packed with over 400 embroidery stitches. It’s a best seller – affordable, with lots of stitches. #2: Goldwork Techniques, Projects and Pure Inspiration, by Hazel Everett. This book is a real stunner – very beautiful stuff within! It came out last year (2011), and if you have the slightest interest in goldwork and metal thread embroidery, it’s worth adding to your book collection. What’s different about this one? Besides covering pretty much every goldwork technique, Hazel also focuses on using colored metal threads as well, with magnificent results. 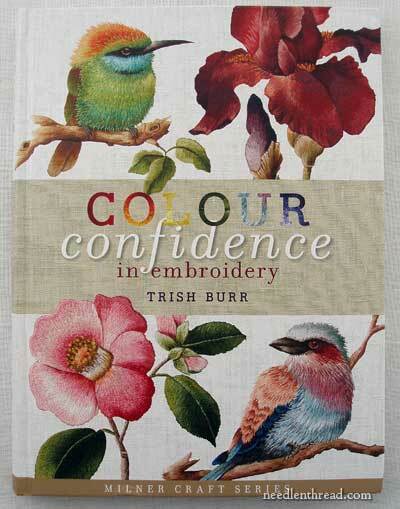 And the #1 most popular book on Needle ‘n Thread this year so far is Colour Confidence in Embroidery by Trish Burr. This is understandably a very popular book, because it is unique, and because it addresses a specific need: instruction on choosing colors and color schemes for embroidery. Besides offering an array of color palettes and options, Trish instructs on color theory in clear, understandable terminology, and she also provides plenty of practice projects (really, incredibly beautiful pieces!) to help the embroiderer build confidence with color choices. It’s a lovely, informative, hefty, essential volume for any stitcher’s library. So there you have it! The 15 most popular embroidery books on Needle ‘n Thread this year so far. What do you reckon? Anything on here that surprises you? Or anything missing, that you thought would make the list? How many of these have made it into your library? Which ones are on your wish list?! Would love to hear your thoughts – leave your comment below! You can find all the embroidery books I’ve reviewed here on Needle ‘n Thread listed alphabetically by title on my Books page. If you don’t see something you think should be there, do let me know! I can’t believe I don’t own any of these books and I own books, believe me, but, unlike time and tide, they’ll have to wait. I think I have most of them on wish lists at various online sellers though. Probably the only one I don’t need to own is the left-handers one. Strange, but it just doesn’t have that ‘Oh’ factor! If I had to choose only three they would be both of Trish Burr’s books and Crewel Twists. (Loud and clear Santa?) I have a few substitutes for the dictionary and bible but, like an artist, the next one is always the best. Found this really interesting Mary. Worth your effort. Thank you. I own all but the lefthanded book (right hand domanant. Yvette, My ‘left handed’ comment above (#1) was just my silly nonsense humour. I have your right-handed version and it is my ‘right hand’ companion for embroidery. I wouldn’t be without it. 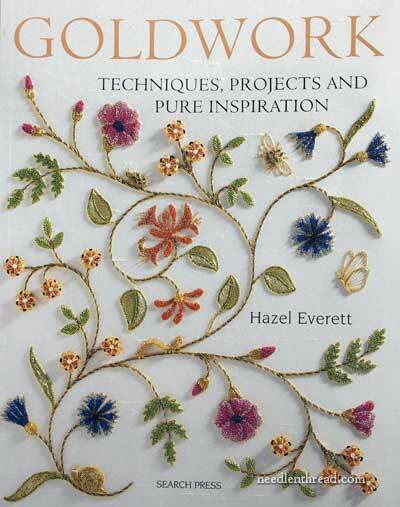 I got Hazel Everett’s goldwork book (after reading reviews, which included yours) and just love it! As a beader, the majority of the embroidery books I own or have on my wishlist are on bead embroidery. The latest embroidery book I got e.g. was La broderie de perles by Yukiko Ogura. One embroidery book I wish to get my hands on is the (long ago sold out) big The Essential Guide to Embroidery or Bonneries stora bok om broderi as the Swedish edition is called. Really fond of those big “bible” books introducing many different types of embroidery. What could one possibly say? I want them all!! I have three of the books on your list, 12 more to go! It is always such a pleasure to read your comments. I await them every day. Thanks! Well, I think you’ve covered it pretty well. Having Trish Burr is always a must. Love the Left Handed book. And Goldwork and Blackwork are essential. Those would be my top 4 (5 if you count both TB books) in my library. I’m not left handed by the way but it would be great to have it for reference. What a great idea to give this list! It’s amazing and instructive. Have a good day, Mary. sometimes does stretch me a bit, as well as your wonderful videos – thank you for them – I am a very visual person. You are very generous to all of us – no matter what level – there is something for everyone. Thank you for your list of must have books. Came just in time for the Knitting and Stiches show in London. I will look out for the Elizabethan book which looks lovely. Always enjoy you daily mail. Thank you for your top 15 list, I love it. I have 8 of the top 15 and I am right handed. Trish Burr’s books are fabulous, as is Hazel Everett’s Goldwork and Becky Hogg’s Blackwork is a must for anyone planning to stitch blackwork. Thank you for the list. It is something that I have needed for a long time especially the Left-Handed Guide. The possibility of looking and reading the directions at the same time now without putting the book or laptop upside down! Woooo-hooo! Two are missing in my collection. as I am right handed i don’t the left one. For when you e-mail us a new book, it is very scarce I don’t order it. Many thanks for all you do for us. Hi — I have 2/15 with one more on my Christmas list. Not too shappy for less than a year under my belt. I use the Embroidery Stitch Bible when I can’t get to a computer to use your tutorials. They are the best way to learn, for me! What a fantastic list. I don’t do blackwork at all so that doesn’t count as far as I am concerned. Goldwork is on my ‘bucket list’ although I have a few books including the Ruth Chamberline one on your list. I also have Betty Barnden, Elizabethan Stitches, Medieval Flora, Crewel Twists, Mary Thomas’s Stitch book. I have the Margie Bauer book but was a bit disappointed and angry even when it arrived and I found it was not much more than a repeat of the 2 A-Z embroidery stitches books. I have the other Gail Marsh books and this one is on the ‘must have’ list. Although I love Trish Burr’s work I can’t have some of her books near me as I am ornithophobic and all those birds make me panic, but I do have her Redoute’s flowers book which I love. The other crewel books you list look delicious so they will probably end up on my shelves too, as will Yvette Stanton’s right-handed book. Can you tell I am as much a bibliophile as an embroiderer? I was surprised to see that particular Jane Nicholas book, as I think it is the least interesting of them all. I don’t yet have, but will have soon, the one about Persian embroidery (forgotten the name, sorry) and I like her dragonflies much better than this book. All in all, I have 8 of the 15. Hi Mary, I went on a book buying spree a few months ago, based mostly on your book list. And I added a few more tonight. I have not been dissapointed. However, I have to add that I have been totally obsessed with the online books you recommended. I have spent hours going over the texts and the drawings and the colour plates – gorgeous examples! The books are graphically satisfying as well as fascinating. Thanks for all your generous research! I have only two on this list, and here I thought I was an embroidery book collector!! I have two others that I really like that didn’t make your list… ‘Embroidery Stitches’ by Mary Webb and ‘Embroidery & Crazy Quilt Stitch Tool’ by Judith Baker Montano. I refer to them all the time! I went through your list and other resources on the net, Unfortunately The A-Z series is not available in my country .. at least not for a while. For the goldwork books, both are good, but Hazel Everett’s covers a wider range of techniques. 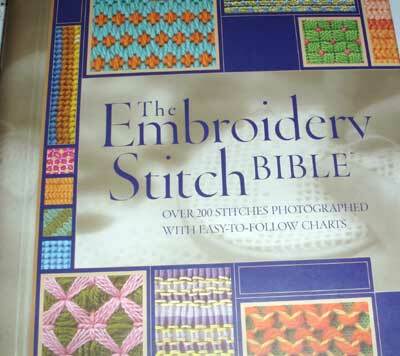 For stitches, I’d probably go with the Embroidery Stitch Bible – it combines photos and diagrams, and has a nice range of stitches and techniques. I bought both Trish Burr’s Books in your List & Mary Thomas’s Book after reading your reviews. Is the “Embroidery Stitch Bible” same in CONTENT as Mary Thomas’s Book? I like to buy it BUT not duplicate what I already have..
Found you through Google searching for best embroidery books. I am about to start a Williamsburg Sampler The Chase from 1760. Have done counted cross stitch but this sampler has other stitches, such as: satin, outline, Algerian Eye, Queen, rice French knots, New England Laid, chain, long arm cross, etc. I have done some embroidery but want to get a good book that will show and describe techniques. Would you kindly give me your recommendations. One book I have come across is The Proper Stitch: A Guide for Counted Thread by Darlene O’Steen. Without seeing the book, I’m not sure it will include the above stitches. Should I be looking at books on crewel? Appreciate your help.